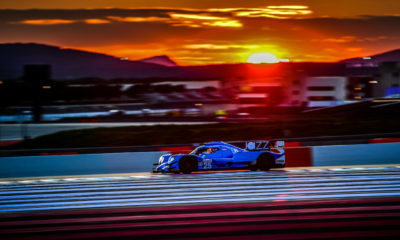 One of last year’s LMP2 driver champions in the FIA World Endurance Championship, Roman Rusinov, has linked up with Jota Sport to run the G-Drive Racing program for the 2016 WEC season (En Français). Rusinov confirmed the G-Drive Racing news in Russia on Wednesday. It marked the second major WEC LMP2 team announcement of the day, following the launch of the Ricardo Gonzalez-led RGR Sport by Morand. The G-Drive Racing program will feature the two previously announced dual efforts for the Sam Hignett-led Jota Sport. Jota had already annnounced its return to the European Le Mans Series with the venerable Gibson 015S Nissan, plus a step up to the WEC with a brand-new Oreca 05 Nissan. Jota also established a partnership with Arden International over the winter. Rusinov will be set to defend his WEC title in LMP2 with Nathanael Berthon, who recently parted ways with the Team Aguri FIA Formula E team, and a third driver to be determined at a later date in the Oreca 05. The ELMS entry, the Gibson 015S, is set to feature the previously announced Giedo van der Garde and Simon Dolan for the full season with Harry Tincknell and Jake Dennis set to split the third seat. Dennis was announced as part of the earlier Arden link-up for Spa and Le Mans. OAK Racing, which had run the G-Drive Racing program in 2015 and witnessed Rusinov drive to the class championship with Sam Bird and Julien Canal, is now primarily staffing the pair of Tequila Patron ESM entries, which still sees the Onroak crew work on an Onroak chassis, their pair of Ligier JS P2s.